LATEST: NASA's acting Administrator Robert Lightfoot is retiring on April 30, which will leave NASA truly leaderless. It's time to confirm the president's choice to lead NASA back to bold exploration. McCain and Rubio should drop their destructive 'holds' and join other Republican Senators in confirming Bridenstine. 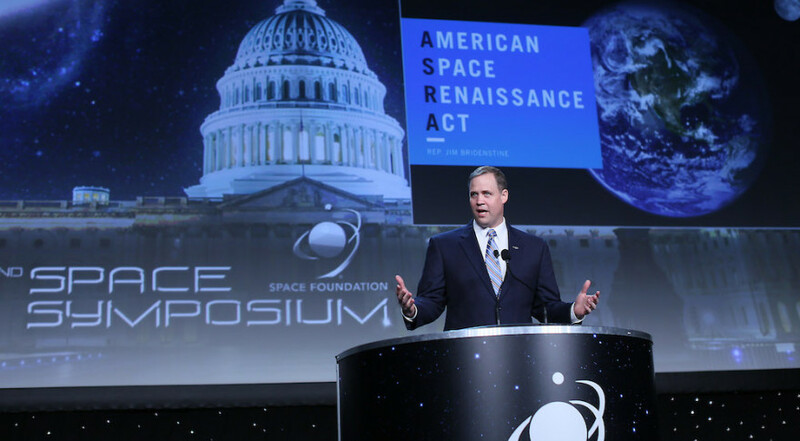 It is critical that the Senate vote to confirm the Honorable Jim Bridenstine's nomination as NASA Administrator as soon as possible. Bridenstine has a passion for refocusing NASA on deep space human exploration, to actually take us back to the Moon and on to Mars, and he is willing to give up a Congressional seat he could have held for twenty years so he can help restore our space program. Past NASA administrators were confirmed by unanimous consent or voice vote. Never before have partisan battles been used against the leadership at NASA. The Senate Commerce, Science and Transportation Committee approved Bridenstine's nomination on January 18, and the full Senate must now vote to confirm him. A leaderless NASA will give China and other nations more of a head start, and harm our economy and our space leadership and global competitiveness. 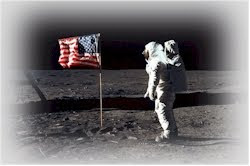 President Trump has outlined great plans to restore our space program to return to the Moon, and with lessons learned, go to Mars. Hopefully NASA will not detour from landing on the Moon to building the "Deep Space Gateway" that would delay going back to the Moon until the 2030s and thus move Mars to sometime in the 2040s or beyond. Without a permanent Administrator, the task will be much more difficult and result in delays. Ask that he secure the necessary votes, get the Senators who placed "holds" on the nomination to remove them. Then file 'cloture' to hold a vote and schedule the floor vote on the nomination. Senator Cruz is chairman of the Space, Science, and Competitiveness Subcommittee, and supports Bridenstine. Ask him to work with Majority Leader McConnell to secure the votes and schedule the vote, and to appeal to those who placed holds. Senator Manchin represents a very 'Red' state, and may be the Democratic Senator most likely to support Bridenstine. Senator Jones was elected by a very small margin in a very GOP and very pro-space state--the Marshall NASA center is a serious space tech hub in Alabama. Voting against the president's NASA nominee on partisan grounds would harm our space program and offend the Republican voters he needs to be re-elected. Senator McCain placed a "hold" on the nomination--he should remove the hold to allow a fair vote. Remind McCain that American leadership in space and by extension America's standing in world affairs are weakened without a NASA Administrator to the benefit of our enemies and foreign countries. The Senator's absence this year from the Senate might preclude his vote, however, he should respect the tradition of the Senate and allow a fair vote in his absence. Please remind the two Senators from Florida that the future of the space coast economy and America's space competitiveness are at risk if NASA remains effectively leaderless. Both Senators Rubio and Nelson placed a "hold" on the nomination--they should remove the holds to allow a fair vote. Rubio's hold reportedly dates to disagreements during the 2016 campaign, but it is believed he would vote to confirm if a vote is held. Sen. Hyde-Smith has the opportunity to take a lead in the Senate to line up votes for Bridenstine, and persuade her colleagues to drop their holds and opposition. Sen. Cochran had placed a "hold" on the nomination, and his retirement reduced the active holds to three. Mississippi has the Stennis NASA center that tests rocket engines, and continued delays in confirming the president's NASA nominee would harm our space program--and Mississippi's economy. Regardless of the partisan battles in Congress, everyone should agree that Bridenstine deserves a simple up-or-down vote. Forward this to your friends and on social media--especially to people in the above states. Call radio talk shows to alert more people. Write letters to the editor urging rapid confirmation. These quick actions can make a difference! Photo credit: Tom Kimmell This is the Bridenstine "whip list."